Parents are therefore invited to bring their children with special needs to participate in the Faith Development program. We will do our best to assess the gifts and needs of each child, and we will work with parents, siblings, catechists and other children to enable your children to participate to the greatest extent possible. In particular, we will make every effort to enable all children to prepare for and celebrate the sacraments of Baptism, Confirmation, Eucharist and Reconciliation. National Catholic Partnership on Disability - The National Catholic Partnership on Disability (NCPD) works collaboratively to ensure meaningful participation of people with disabilities in all aspects of the life of the Church and society. This websites contains webinar trainings for catechists, tips, forms and resources for catechesis of persons with disabilities. Institue for Pastoral Initiatives - Part of the University of Dayton, it serves as a support network and resource to individuals with disabilities and their families. 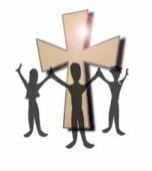 Resources for Sacramental preparation, print and DVD’s to assist with religious education are provided. Pathways Awareness - The "Open Hearts, Open Minds, Open Doors" program of Pathways Awareness assists congregations of all faith traditions to include people with physical, sensory, mental or emotional differences into all aspects of faith life. The web site also includes downloads of lesson plans for religious educators to teach students age 8 to 18 about the gifts received when everyone is included. Friendship Ministries - An international, interdenominational ministry helping equip churches from more than 60 denominations to include people with cognitive impairments. Friendship materials are inter-denominational, easy to use, and sensitive to different ages and learning levels. Xavier Society for the Blind - The Xavier Society continues its pioneering mission by producing Braille, large print, audiocassette and most recently digital formats of religious books and periodicals. National Catholic Office for the Deaf - NCOD develops and disseminates religious education and pastoral training resources for ministry with deaf and hard of hearing individuals. A recent generous donation for this ministry will allow us to provide scholarship funds for those interested in certification in Special Needs Ministry. For more information on Dayton's courses, check out their web page. For scholarship information, contact Diane Quintal.